Petty’s Island is a tiny island situated in the middle of the Delaware River between Philadelphia and Camden. In 1850, Ralston Laird immigrated from Donegal to Philadelphia. Shortly after his arrival, he set off for Petty’s Island, where he married, had ten children, and declared himself King. The generous king helped several struggling immigrant families to also establish themselves on the island. Over fifty years later, the island was eyed for industrial development. The elderly King was the last to remain when a mysterious fire finally drove him from Petty’s Island. Today, the island is a fuel storage facility owned by a Venezuelan oil company. Using the Pennsylvania Historical Society and the Internet, I tracked down and contacted all of the surviving descendants of the king, reestablished their royal status and minted a set of commemorative plates bearing their royal images. Artifacts from the site of the king’s former palace were also uncovered over the course of several unauthorized visits I made to the island. Coincidentally, a group who identify themselves as the LKLA also permeated the island and painted a large-scale monument to Ralston Laird—the rightful King of Petty’s Island—atop one of CITGO’s remaining gas storage drums. It can only be viewed from satellite or aircraft, and from that vantage point, interestingly, bears a striking similarity to the Laird Family Royal commemorative plates. King Ralston Laird Resurfaces on Petty’s Island. 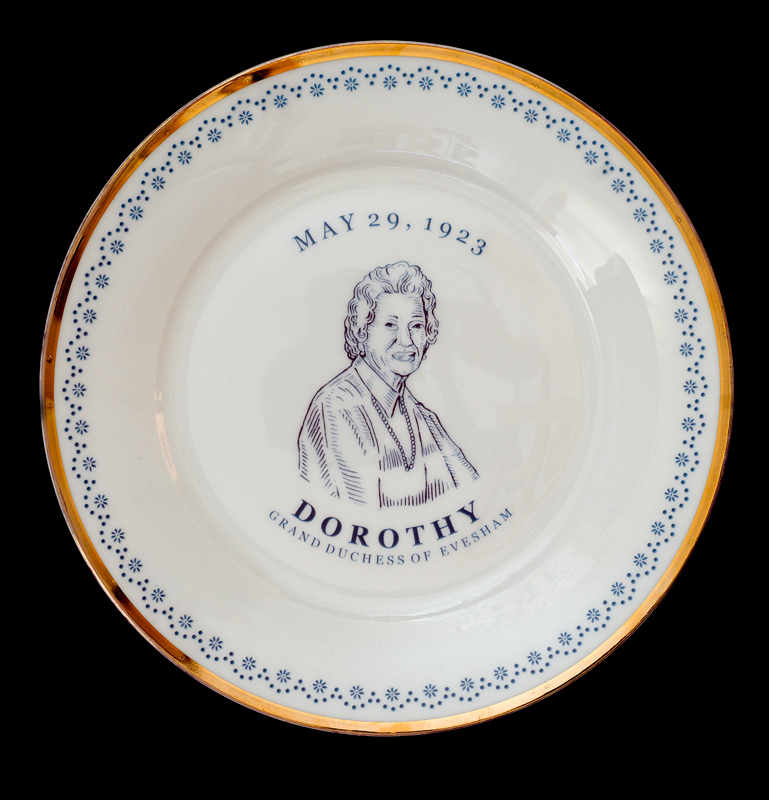 Dorothy, Grand Duchess of Evesham, Laird Royal Family Commemorative Plate Series, 2010. Prince Anthony of Bethesda, Laird Royal Family Commemorative Plate Series, 2010. Prince Robert Topanga, Laird Royal Family Commemorative Plate Series, 2010. 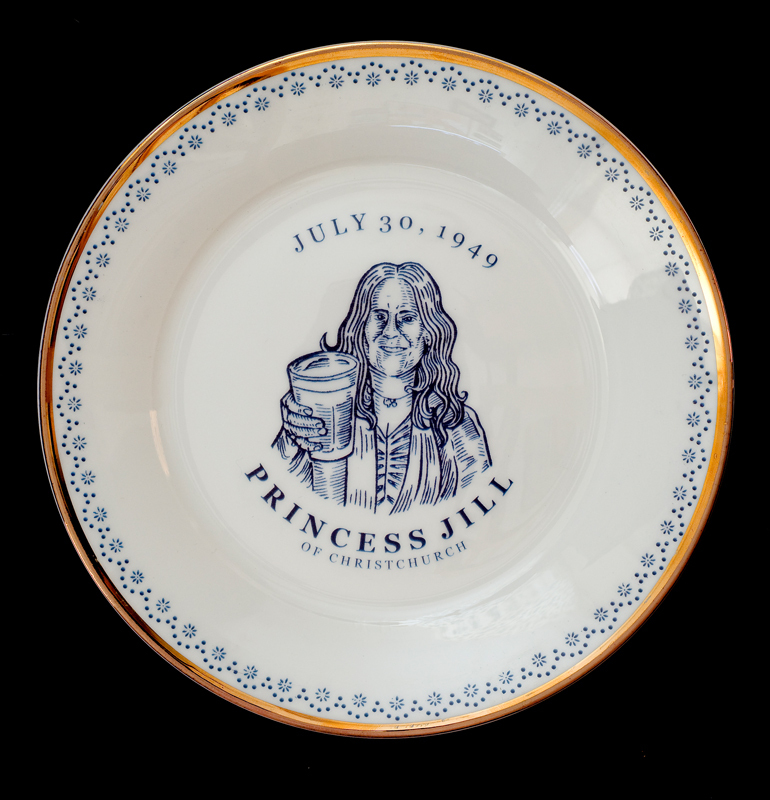 Princess Jill of Christchurch, Laird Royal Family Commemorative Plate Series, 2010. Sir Shawn, Duke of Reno, Laird Royal Family Commemorative Plate Series, 2010. Lady Amy, Duchess of Bethesda, Laird Royal Family Commemorative Plate Series, 2010. Sir Andrew, Duke of Bethesda, Laird Royal Family Commemorative Plate Series, 2010. Count Damian of Denver, Laird Royal Family Commemorative Plate Series, 2010. Rumored members of the L.K.L.A. : Parks, Duke, Sarah, Kitty Joe and Jade.